As on previous blogs regard on Window Server 8 at New Windows Server Release by Microsoft article. I do have problem to find the shutdown button on the operating it self on the metro UI. But do you that we can do some minor changes on the registry and get back the old desktop windows environment?. After the changes, you can see the different on your task manager and also your windows desktop. This would be the exactly the same as you found in the Windows 7 environment. 1)in the registry, navigate to the path "HKEY_CURRENT_USER \Software \ Microsoft \ Windows \ CurrentVersion \ " and click on" Explorer ".On the right you will see the entry "RPEnable" and change the value to 0. 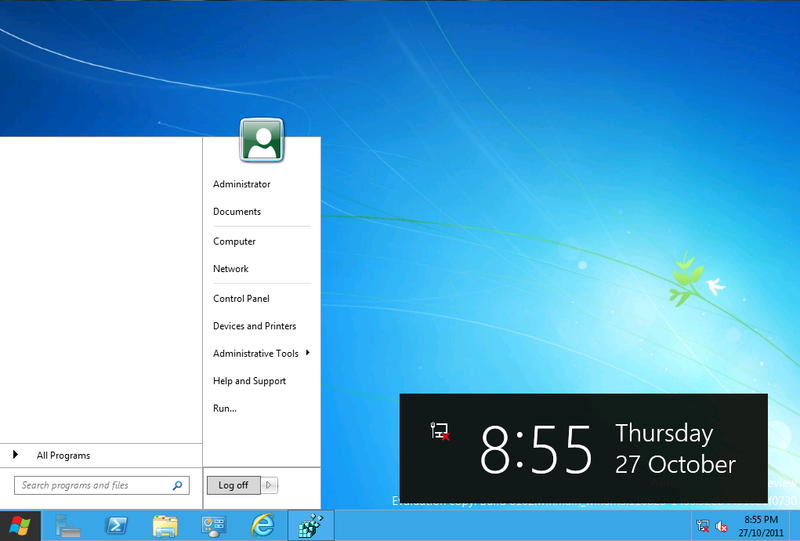 You will notice an immediate effect on the server.There is no need to shutdown the windows server 8 to take effect. I am interested in hearing your feedback, so that I can improve my articles and learning resources for you.